There are not many options. Since I don't have a dedicated room for my stuff some kind of furniture was out of the race. 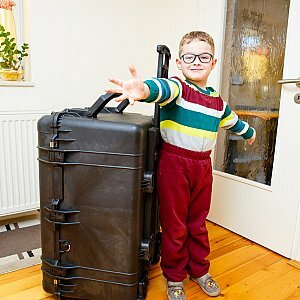 A backpack is too small. So the only thing which is left is a kind of a trunk. 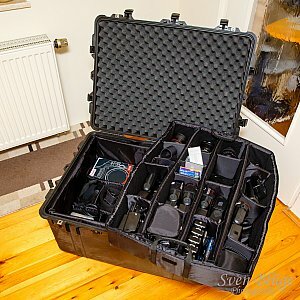 After doing some research I ended up with the decision between a Think Tank Photo Production Manager 40 and the Pelican 1630 Transport Case. They differ in many attributes. 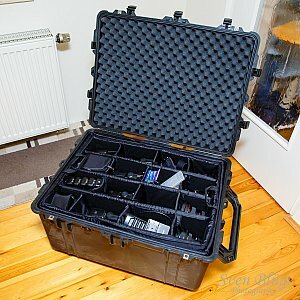 The TTP Production Manager 40 is clearly the case you can take with you. 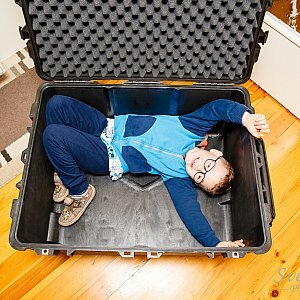 It's smaller and much easier to handle than the Peli 1630. But on the other side it is smaller! Here in Germany it's currently not easy to grab this Production Manager 40. 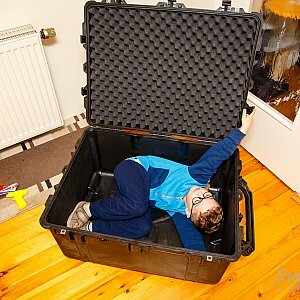 The Peli was delivered instantly. 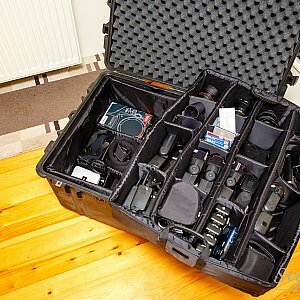 Together with the divider set it is an awesome place to store your camera gear and keep dirt, dust and water out. 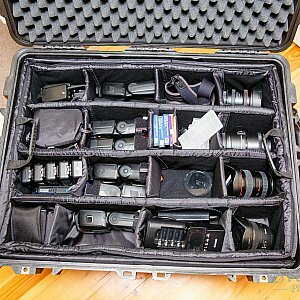 You have two layers to store gear. The upper layer can be equipped with a mesh to protect the content from falling out. I can imagine to just grab this layer and take it to a shooting. But you don't want to carry this one around. 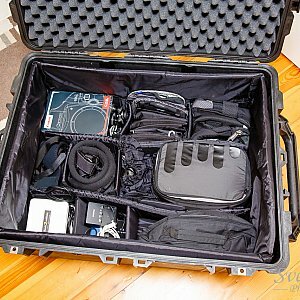 It is very heavy and I'm using it to store gear so that I can fill my backpack with the things I need. I just need to find a place for it in the house :) Not an easy task if you check the size comparison. Disclaimer: Maximilian was in there just for demo reasons. 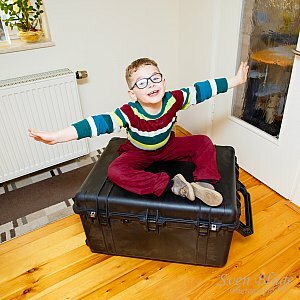 This is not his new room!